Why Is Meditation Good For You, Especially As You Get Older? Why Is Meditation Good For You And Your Brain? So why is meditation good for you.? Unfortunately, as we age, so does our brain. The older we get the more our muscles and the brain deteriorate, thus making it more difficult to do the more active tasks that we have done all our young lives. But have you tried meditation and why is meditation good for you? Meditation is a great way to deal with stress, as well as keep your brain working and active. Not only does it help your brain, but also your body, and the benefits of meditation are well worth looking into. 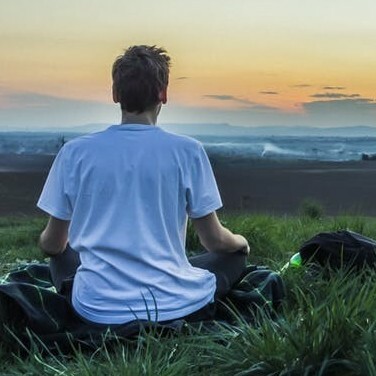 In this article, we’ll have a look at the research available surrounding meditation as a possible protective measure against age-related mental deterioration and deal with the question of why is meditation good for you. Below you can also find some helpful tips to start you on your meditation journey. How Can Meditation Help Your Brain? According to a study that was performed at UCLA and published in the Front Psychol, humans are enjoying a longer life expectancy in these times, putting them at an increased risk of mental decline and mental illness as they get older. This study was spurred on by the realization that these problems have increased dramatically, coinciding with the increase in life expectancy. So we are in need of something to help lower the risks and stall the deterioration of our precious brains. We can only enjoy those extra years with which we have been gifted if we are healthy and active with a brain that is still working well, otherwise what is the point? There have already been several studies showing evidence that meditation can help a number of brain functions improve, including but not limited to improving your memory and attention spans. Meditation on a regular basis can result in a decrease of age-related gray matter appearing in the brain, thus minimizing your risk of mental decline. They’ve concluded that meditation can help protect your brain from “age-related tissue decline,” and help to reduce the threat of mentally declining. The act of meditation forces you to slow down physically and mentally. 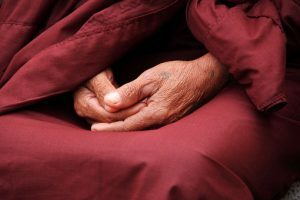 Meditation forces you to participate in “process-specific learning, rather than purely stimulus or task-specific learning.” In other words, it makes you slow down, do nothing but think, and learn from simply thinking and realizing. Beyond that, it also forces you to slow down physically thus relieving stress. Meditation requires you to be still and alone with your thoughts, promoting the positive rest and relaxation that your body needs to restore energy and restart your body. In addition to all of these great and positive health benefits, meditation can offer you a way of better connecting to your inner self. By forcing you to spend a chunk of time daily or weekly in thoughtful solitude, you’re allowing yourself to get better in tune with your body and your inner self. This undistracted time allows you to analyze your personal thoughts and feelings, allowing you to get to know yourself better and in a purer way. The goal of meditation is ultimately to focus and quiet your mind, and eventually, reach a higher level of awareness and inner calmness. It may seem challenging at first, but by learning the basics of meditation, you can begin your journey on the path of enlightenment and bliss. With practice, you’ll be able to achieve a sense of tranquility and peace no matter what’s going on around you. Meditation should be practiced in a peaceful location so that you can focus on the task at hand without any distractions. Find a place where you will not be interrupted for the duration of your meditation—whether it lasts 5 minutes or half an hour. The space you choose does not need to be very large. A walk-in closet or even an outdoor bench can be used for meditation as long as you have privacy. When you begin to meditate, it is easier if you pick the quietest location that you can. Once you are used to meditation, you will be able to block out the sounds around you like lawnmowers in the distance. It sometimes helps to play soft calm music or listen to the sound a water fountain makes. If you are sitting outside, don’t sit near a noisy highway or any other sources of loud noise. The peaceful sounds of nature are fine on the other hand. Make sure you are wearing comfortable clothes and that you are warm enough. Next, decide how long you want to meditate for. Many people recommend twenty minutes twice a day, but as a beginner, it is fine to start with five minutes a day. Try to do your meditation at the same time each day, and make it a regular part of your daily routine. Once you have decided on a time frame, stick to it and don’t give up just because you feel like it isn’t working. Find a way to keep track of time, like a gentle reminder on your watch. Because meditation involves sitting in one spot for a period of time, try to do some light stretching before you begin to release any tightness or tension. A couple of minutes of stretching can also help you to prepare your mind and help prevent you from focusing on any sore spots in your body instead of relaxing. Now sit comfortably in a position that you can hold for the duration of your meditation. Traditionally meditation is practiced sitting on a cushion on the ground in a lotus or half lotus position, but this can get uncomfortable if you are not used to it. Find a posture that allows you to sit tall, straight and comfortably. Try sitting on a bench or chair with or without crossing your legs. Once you are seated comfortably, concentrate on each vertebra in your spine and think about them balancing on top of one another to support the weight of your torso. It does take some practice to find the position that you can relax your torso and release all tension without slumping. Concentrate on correcting that posture. Hands can be resting on your lap or hanging down by your side. Now, close your eyes. Although some people can meditate with their eyes open, it is easier for a beginner to close them so that they can avoid visual distractions. The most common of all meditation techniques is to follow your breathing. Pick a spot above your navel and focus on that spot with your mind. Become aware of the rising and falling of your abdomen as you breath in and out. Just keep your breathing natural. This may seem easy but it isn’t. Focus only on your breathing and be aware of your breath. Use mental images to guide you like imagining a coin rising and falling as you breathe. If your mind starts to wonder, which happens a lot in the beginning, just make an effort to refocus your breathing and your thoughts and think of nothing else. Another good way of clearing the mind is to repeat a word or mantra over and over again to yourself. Visualisation is a great way to meditate as well as you can imagine yourself in a lovely peaceful and calm place, which will help to relax you. It may seem impossible to find the free time to sit and meditate, as life is generally hectic. But like you schedule time for exercise, you need to set aside some time each day for yourself to allow you to meditate. It’s like saying, ‘I don’t have time to brush my hair.’ You need to work meditation into your daily schedule so it becomes a habit just like brushing your teeth. We’ve already explained the many ways in which meditation can benefit your physical and mental health. You owe it to yourself to make this small commitment to yourself. Start by looking at how you are spending your days. Now decide what you can trim to make time in your schedule. If you spend time sitting in front of the TV, or on FaceBook it is quite possible to steal some of this time to do some meditation. Start by trading out those less than productive habits for positive healthy ones. You know why meditation is good for you, so make sure you make time to actually do it. This is where the trouble starts because it is so easy to say ‘one day off won’t hurt.’ But soon one day becomes two and so on. Make your meditation enjoyable and you are more likely to stick with it. There are some lovely and inexpensive apps and guides available to help you on this new journey, like the ones below, so make use of them, as they will help you to enjoy your meditation journey. Make sure that you meditate in an area that is free from distractions and one that is as comfortable as possible. Start by setting achievable goals, because if you set your sites too high to start, your habit won’t last long. Start out with just five minutes a day and build on that slowly. So, in conclusion, why is meditation good for you? Meditation can help to protect your brain from the harmful effects of aging which is really big. Not only that, getting into a regular meditation routine can help you to relax and bet better in tune with yourself. Go ahead and give this life-changing habit a try and you will soon reap the benefits and see for yourself why is meditation good for you. © Copyright 2019 Forever Youthful.